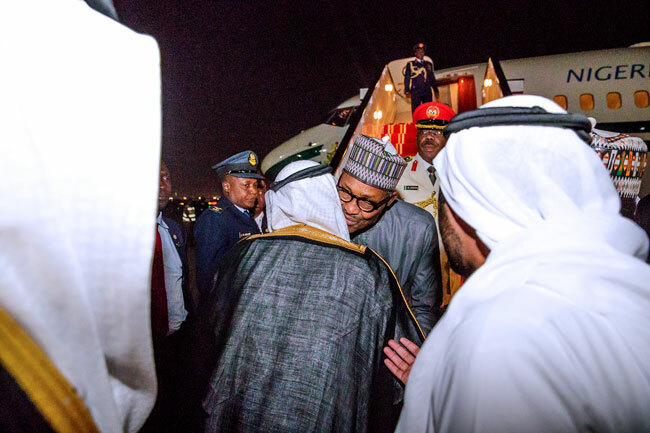 President Muhammadu Buhari has arrived Dubai, United Arabs Emirates, ahead of the Annual Investment Meeting. 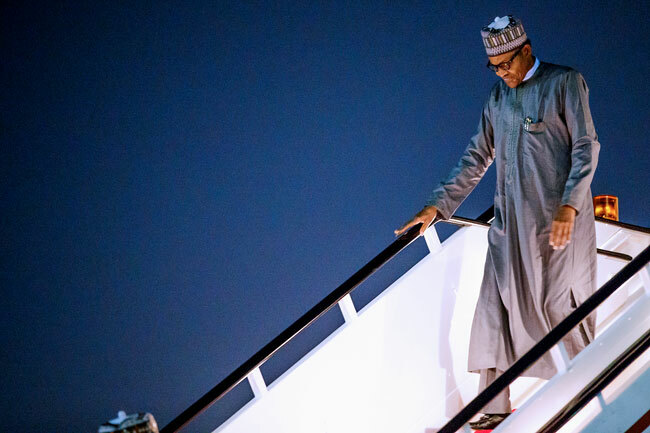 The President arrived on Sunday evening aboard the NAF 001. 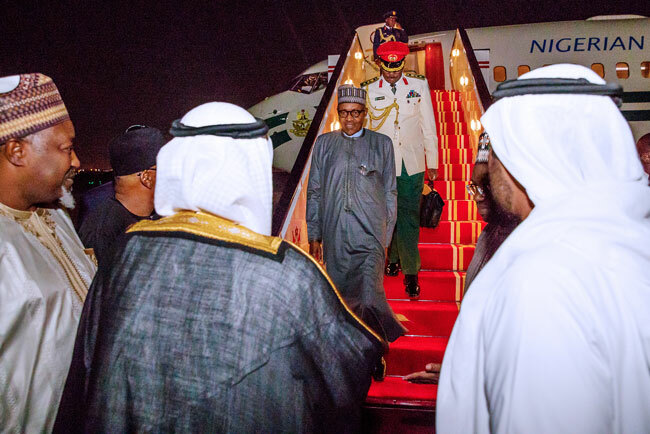 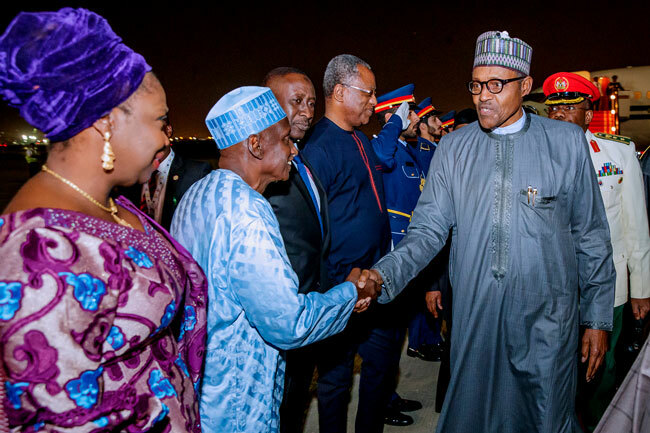 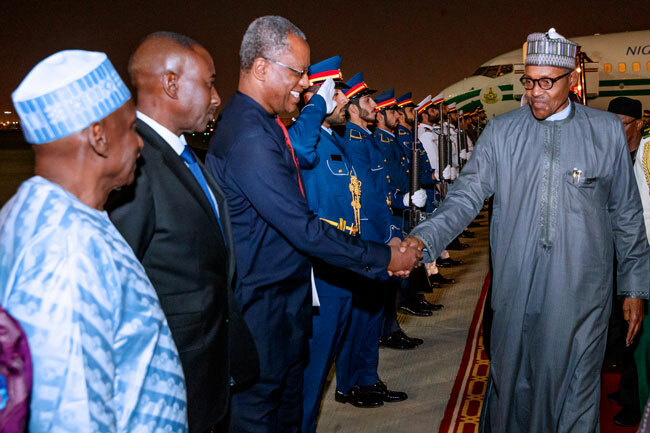 Buhari is visiting Dubai on the invitation of His Highness, Sheikh Mohammed Bin Rachid Al Maktoum, UAE Vice-President, Prime Minister and Ruler of Dubai. 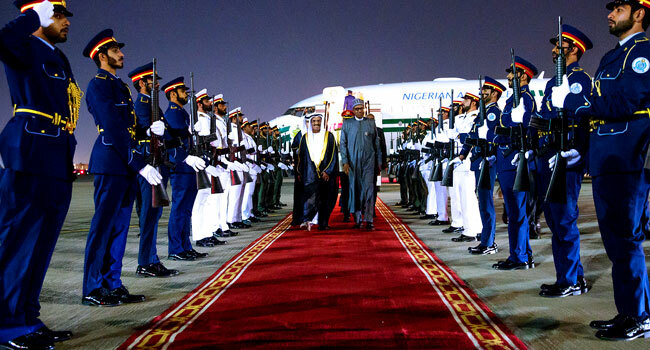 The meeting seeks to explore investment opportunities in more than 140 countries, connect businesses and countries willing to engage in sustainable partnerships with investors. 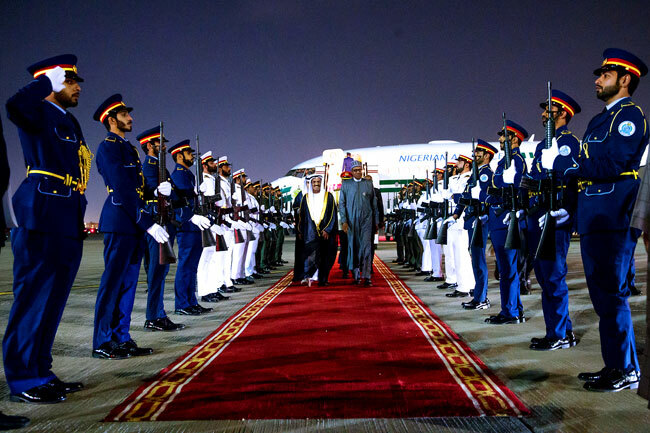 Below are some photos from the President’s arrival in Dubai.